Well that could be different things for different people! When we watch glamerous TV emergency medicine shows we think of life threatening , every second is critical, heroic action. Nurses and physicians rush to gather data and make a diagnosis. Specialists are consulted. Bleeding is stopped. Hearts are restarted. Patients are stabilized. A broken tooth, right in the front, would constitute an emergency for most of us. A fractured veneer or porcelain crown would keep most of us from facing the public or going to work. Quick work with composite bonding usually provides, at least a temporary emergency fix. The tooth is etched with a mild acidic solution, a bonding agent is applied, and plastic resin can artfully be sculpted to replace the broken parts. Pain, unfortunately, is the motivator for many people to visit an emergency dentist. Now we are dealing with a medical problem as well as a dental one. 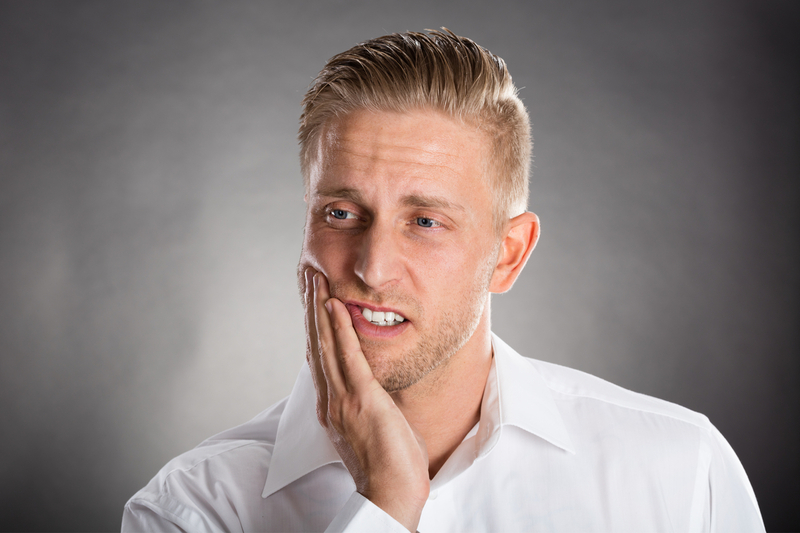 As a matter of fact, many toothache problems are treated in the emergency room. Pain from an infected, abscessed tooth can land you in the hospital and can even be life threatening. Just as with any other medical problem a diagnosis must be made. Sometimes it’s simple. “This is the tooth, doc. It hurts when I bite on it and I’m swollen.” An x-ray often shows a dark area under the root where the infection has spread to the bone. Pain comes from a buildup of pressure. Treatment involves draining and treating the infection, then root canal treatment or extraction of the tooth to keep the infection from returning. But not all toothaches are so straight forward. “It hurts on the left side, Doc. I can’t tell which one.” This can be a challenge to figure out. First of all the emergency dentist needs to put on his medical cap. Is the pain from a tooth are something completely different? Did you know that jaw pain can be the first sign of a heart attack? More commonly, sinus problems can mimic tooth pain. TMD (jaw Joint pain) can also cause jaw and facial pain. If it is from a tooth, which one and why? Sometimes the offending tooth can be identified by tapping (percussion) A tooth with an inflamed pulp will often be inflamed in the ligament surrounding the tooth. Tapping pressure pushes on the inflammation and causes pain. “That’s’ the one, Doc!” Now we have to have a diagnosis. Is the pain reversible with a sedative filling? Is the tooth cracked? Is it so deeply decayed that root canal treatment is necessary to relieve the pain? Hard pretzels do bring be a lot of business! Often a cusp will break off on a tooth already weakened by a large filling. If the filling is old and leaky and bacteria has found a way to get underneath, the tooth structure becomes soft and it doesn’t take much to snap off a cusp. If the tooth isn’t cracked down the root or broken into the pulp the fix is usually straightforward; a temporary filling for now and a return trip for a porcelain crown to protect the tooth. This one requires quick action. If it’s a permanent tooth that came out (was avulsed) try to get to the dentist within thirty minutes to have it replaced. There is a good possibility the tooth will reattach. Whether it’s a “cosmetic” emergency or a life threatening dental infection, your local emergency dentist is here to help!